Yesterday saw Netlix announce the cancellation of Daredevil, and now the Season 3 showrunner, Erik Oleson, comments. 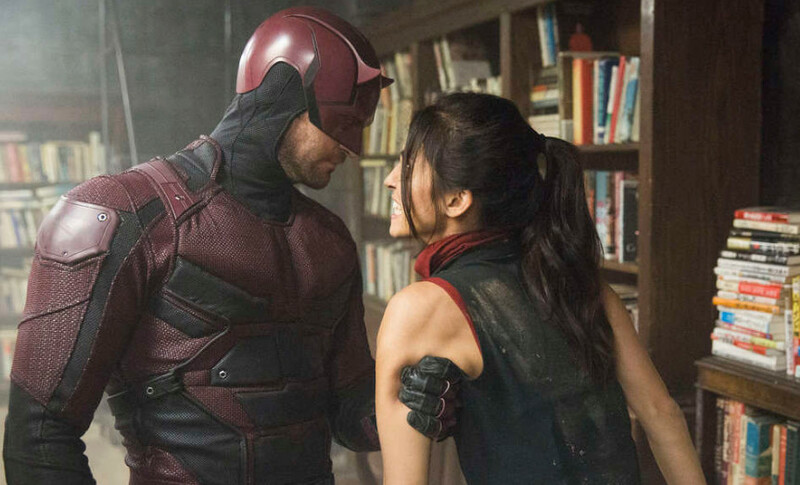 What's a big bummer about the situation is that Olseon recently pitched Netflix a Daredevil Season 4, but the streaming network decided against it. "Sometimes a gig is just a paycheck. When we’re lucky, it’s so much more. There was something magical about working on #Daredevil Season 3. We all felt it," Oleson tweeted. "It was a dream to show up for work. To write for and collaborate with Charlie and Vincent, Deb and Elden, Wilson and Jay and Joanne and the rest of our insanely talented cast..."
Oleson continued, "It was just plain fun to break stories and draft scripts alongside writers who learned from and supported each other, who made me a better writer and became like family. Sam, Dara, Jim, Tamara, Sonay, Lewaa, Tonya, Sarah, Dylan. And don't even get me started about our crew. Who taught me so much and made filming the impossible look easy. Who captured the quietest of character moments with the same expertise as they did epic 12 minute, one-shot stunt sequences..."
Oleson added, "Not to leave out the tireless Post team and passionate editors, the genius sound design team, patient VFX team who spent weeks laboring over single frames, and amazing composer and music team. Seriously -- I'm still pinching myself that I got to be a part of this. And I will be forever grateful to Jeph and Karim and Tom, Devon and Jordanna, Dan and Joe @Marvel And to Allie, Kris and Penelope @Netflix And to all the #Daredevil fans who have made running this show the most fun experience of my career. Thank you. Thank you. Thank you!" Hollywood producer Brad Meltzer then chimed in, "BM: We felt it too, pal! Take a bow."